New boys Wolves played a 2-2 draw against Everton today in their Premier League season opener. 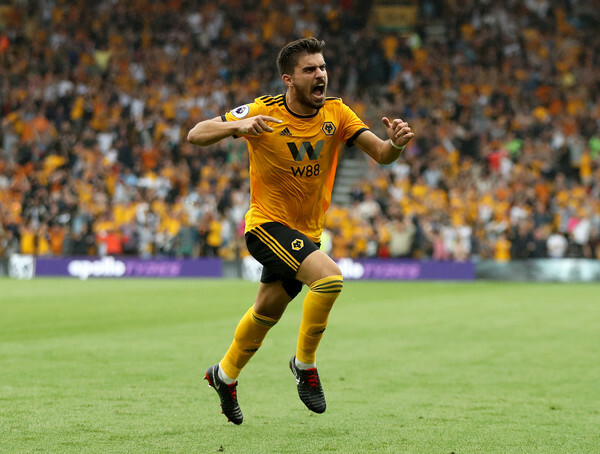 Wolves midfielder Ruben Neves was in fine form and scored a brilliant free kick to draw level for the home team. The Portuguese young star has now scored 11 goals in English football, all his goals are from outside the box. ALL of Ruben Neves' goals in English football have come from outside of the box! The 21-year-old was a delight to watch as he looked like he was made for the Premier League with sublime passes and brilliant decision making. Getting a goal and assist in your first Premier League game as a young star is no small feat. English Top-flight clubs would have been making inquiries about him by now if the transfer window is still open, lucky Wolves. After the game, Neves said: "I am very happy to help the team achieve a point but we want to win games, mainly at home." Another stand-out performer was Everton's Richarlison who scored the Toffees' two goals. The former Watford player scored the first goal from close range before curling a beautiful second to restore Everton's lead in the second half. Richarlison had endured 28 games run without a goal before tonight, last getting on the score sheet for former club Watford in November.